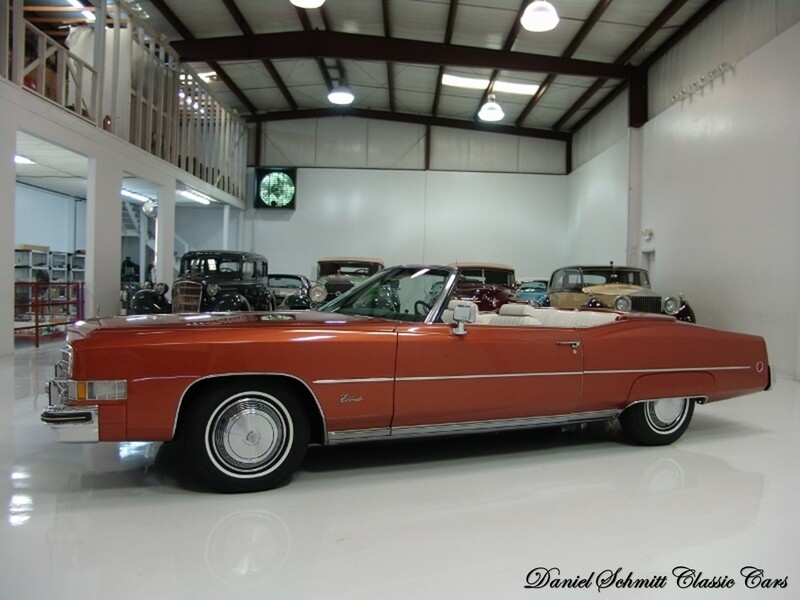 Posted November 22, 2015 by 99MilesPerHour7 Comments on 1973 Cadillac Eldorado Custom Cabriolet	"As the Standard of the World Turns"
For the 1973 model year, the Cadillac Eldorado was available as a coupé, the elegant Custom Cabriolet coupé, and the only luxury convertible built in the land. 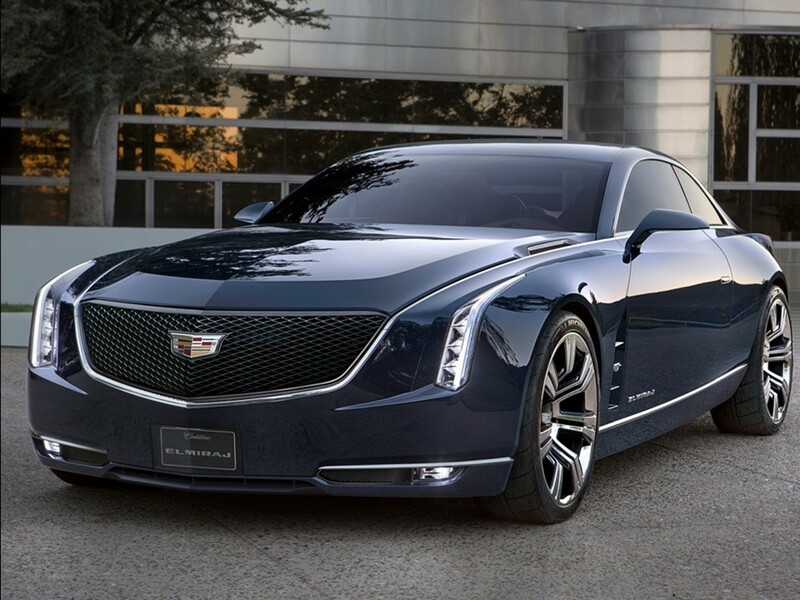 Cadillac offered the luxury of choice with these totally unique motorcars. 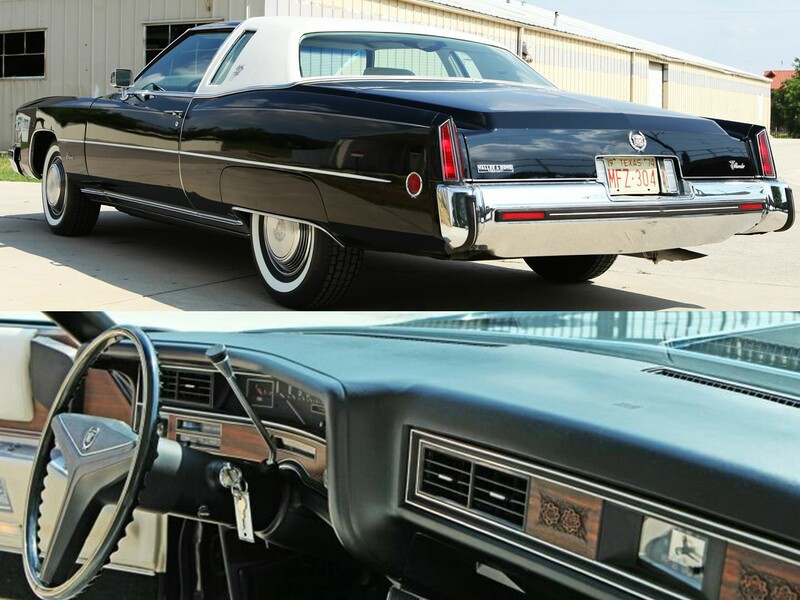 The Eldorado has always been Cadillac’s glamour car. 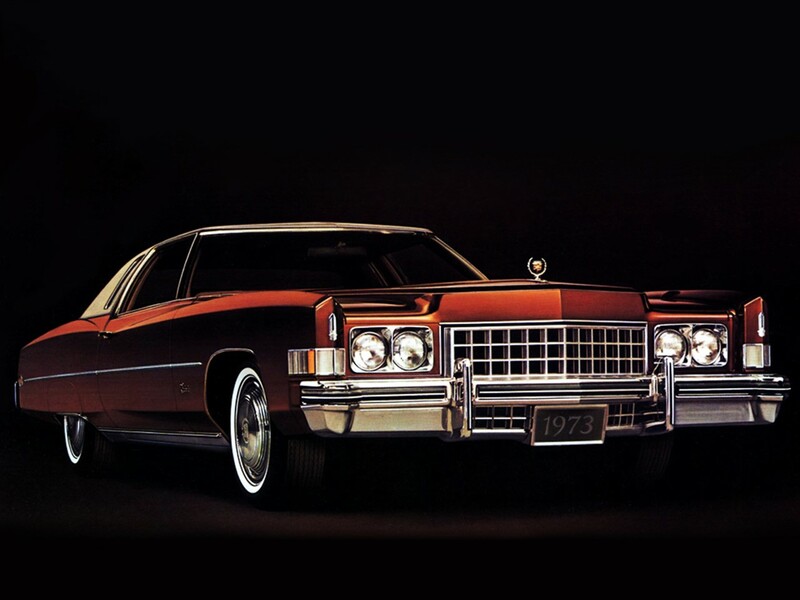 The 1971-1976 models were larger, rounder, and more glamorous than ever. 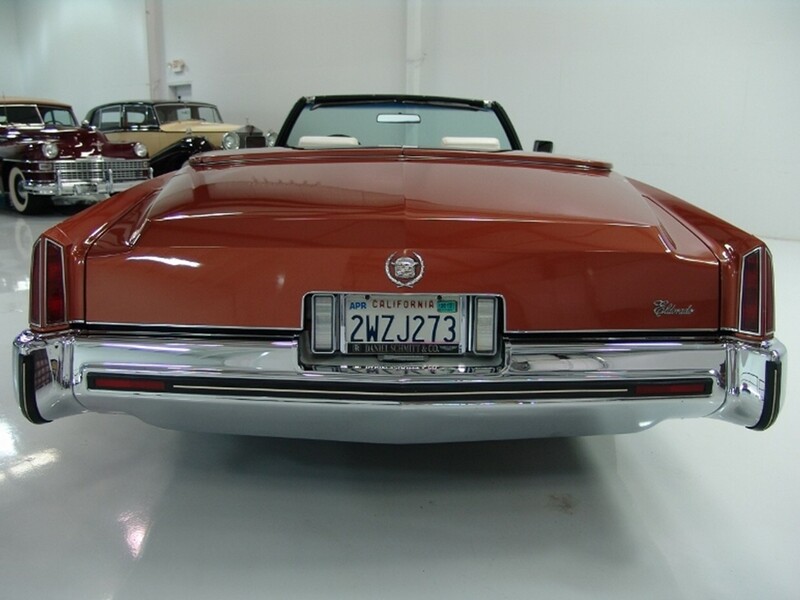 The fabulous fender skirts adorned 1971 through 1974 Eldorados. 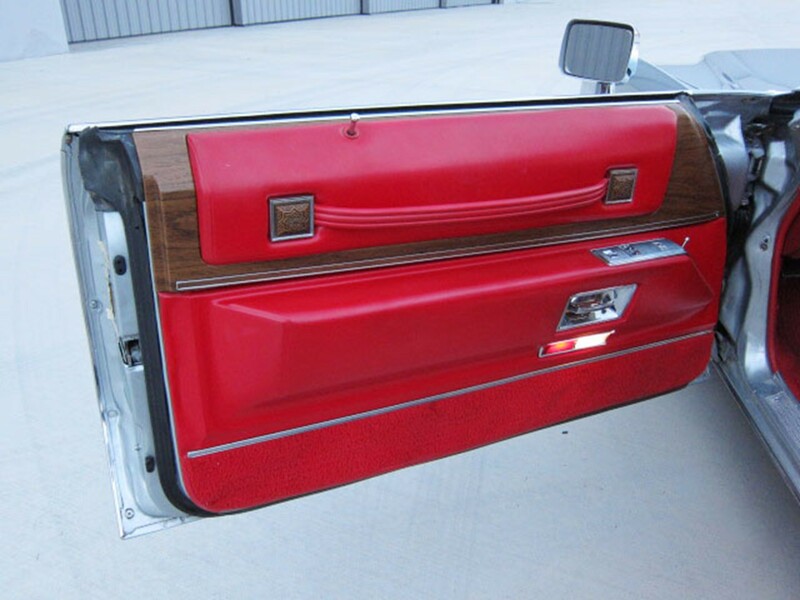 They lost their rear quarter windows but gained fixed opera windows which makes them even more unique in the luxury car arena. 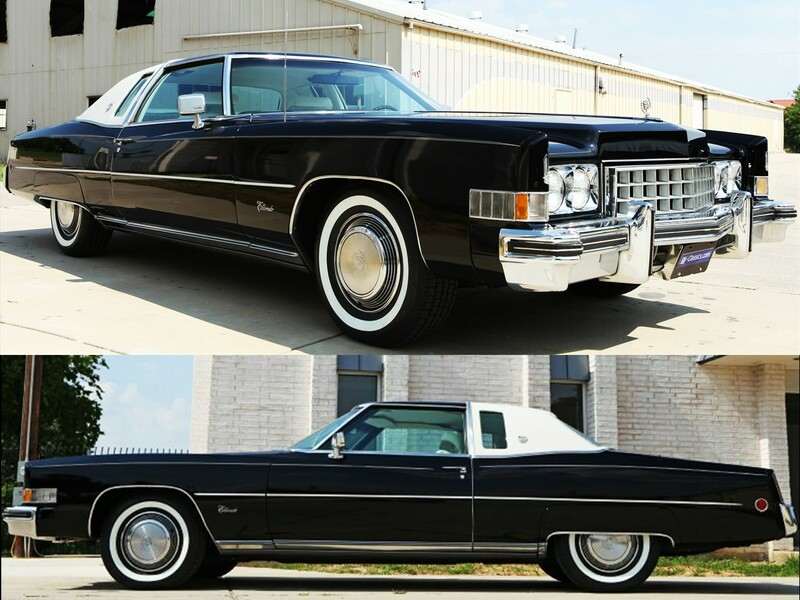 These Eldorados grew 2”+ in length and 6” in their wheelbases when they were re-designed for the 1971-1976 model years. 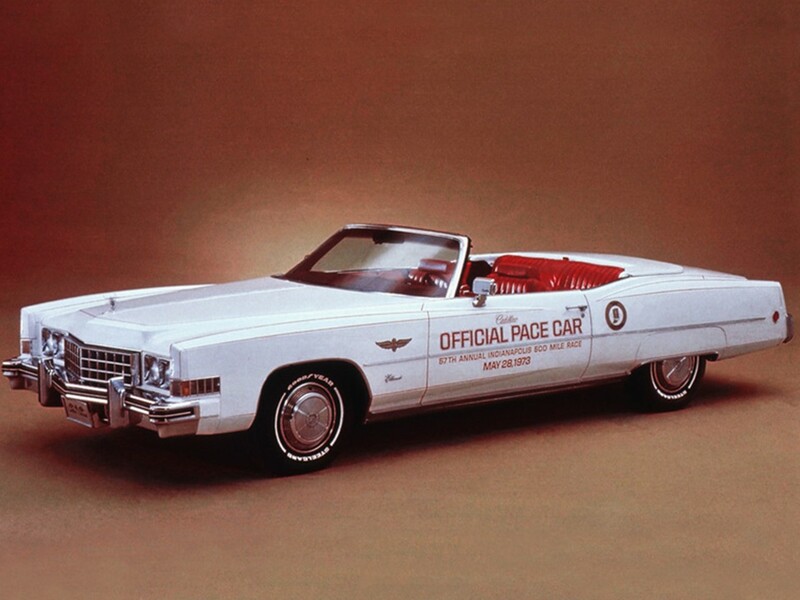 The 1973 Eldorado convertible was chosen as the Official Pace Car for the 1973 Indy 500. 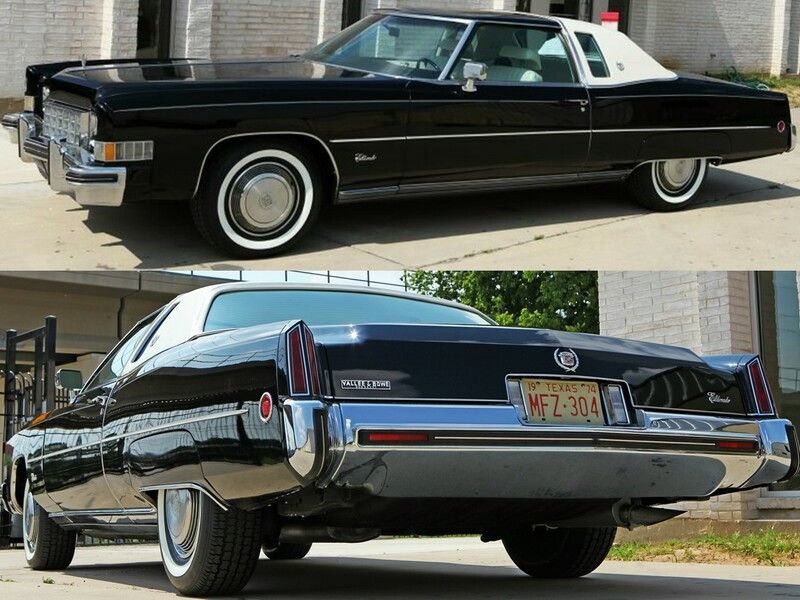 Model #693/L style code #L-47-H, 1973 Eldorado coupé was base priced at $7,360. The base shipping weight is 5,094 pounds. 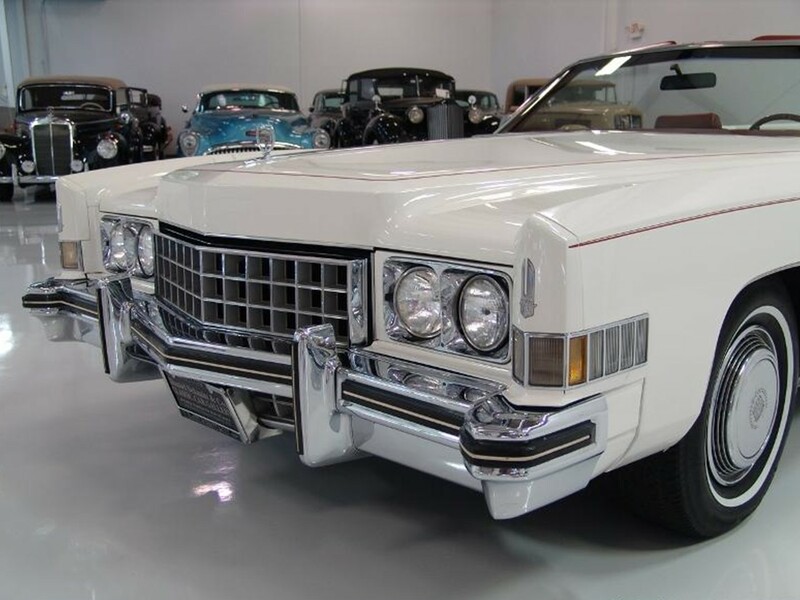 Out of a 304,839 1973 production total for the Cadillac Motor Division, 42,136 are built as Eldorado coupés, and an additional 9,315 built as convertibles. 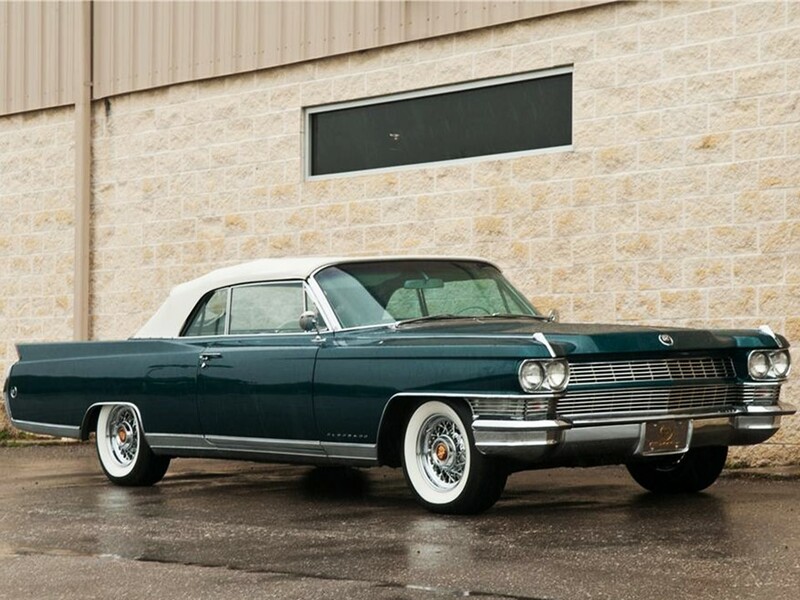 This was the first time Eldorado production totals exceeded 50,000 units built. 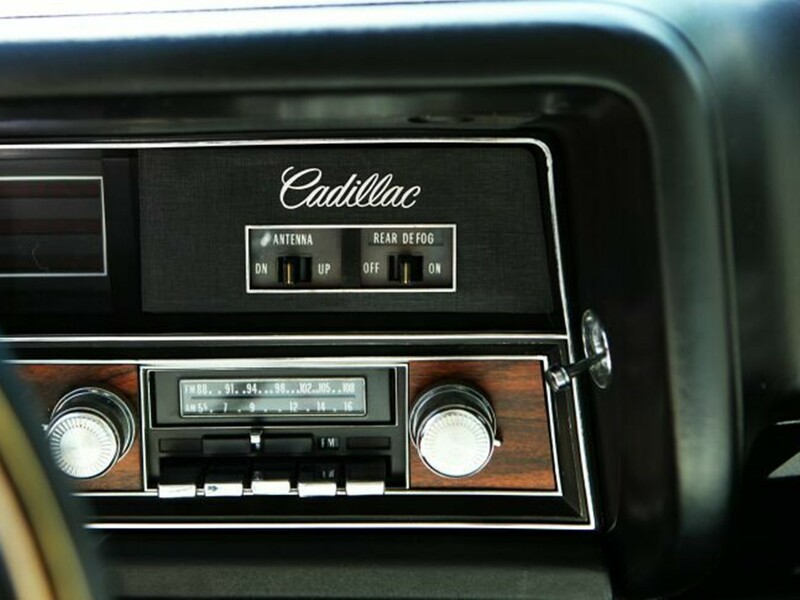 The 1973 production year total was an incredible record-setting year for the “Standard of the World.” Cadillac introduced automobiles during the Spirited Seventies that would forever change the American luxury car segment. 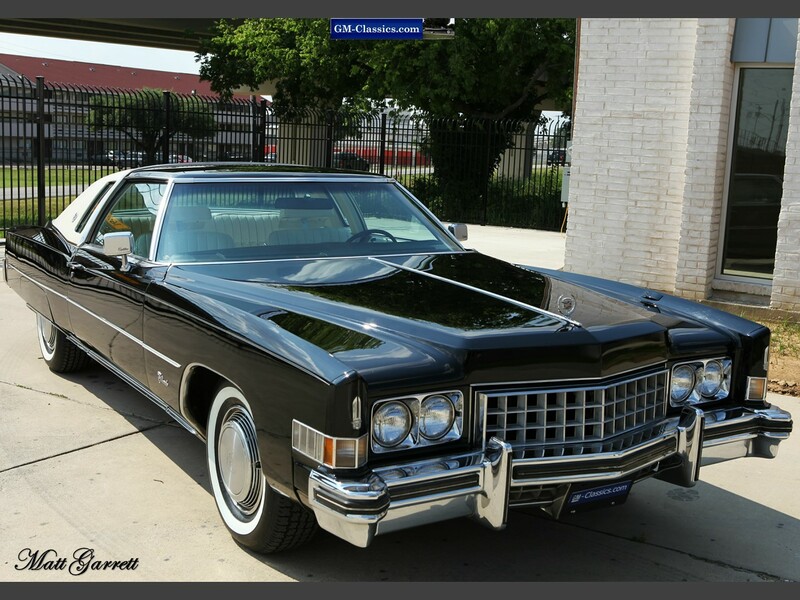 Cadillac gave the Eldorado a discrete “beauty treatment.” It still had the basic design of the 1971-1972 models but was further refined to look completely different. The front end ensemble is augmented by a new, stronger front bumper system capable of withstanding a 5 mph crunch with no damage to sheet metal. The new grill is mounted to the bumper, both of which telescope into the front cavity out of harm’s way. 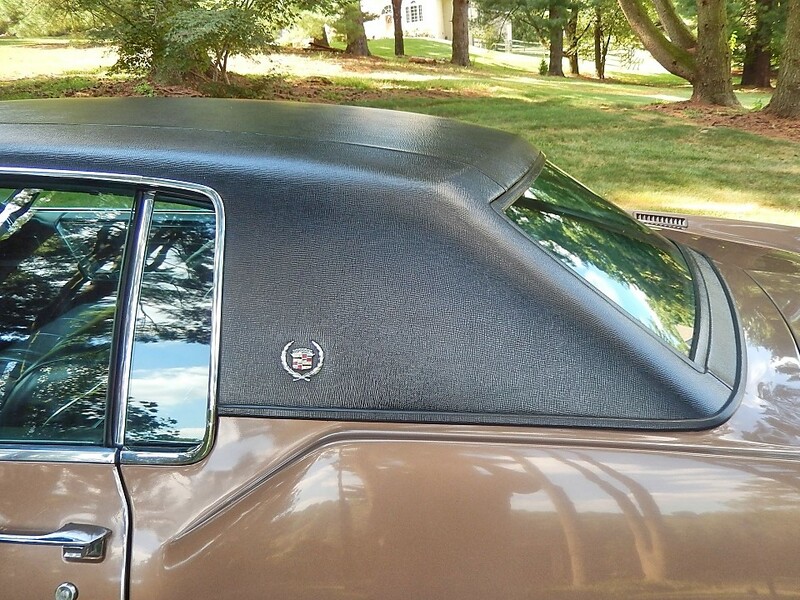 A new beveled hood adds to its luxurious styling. 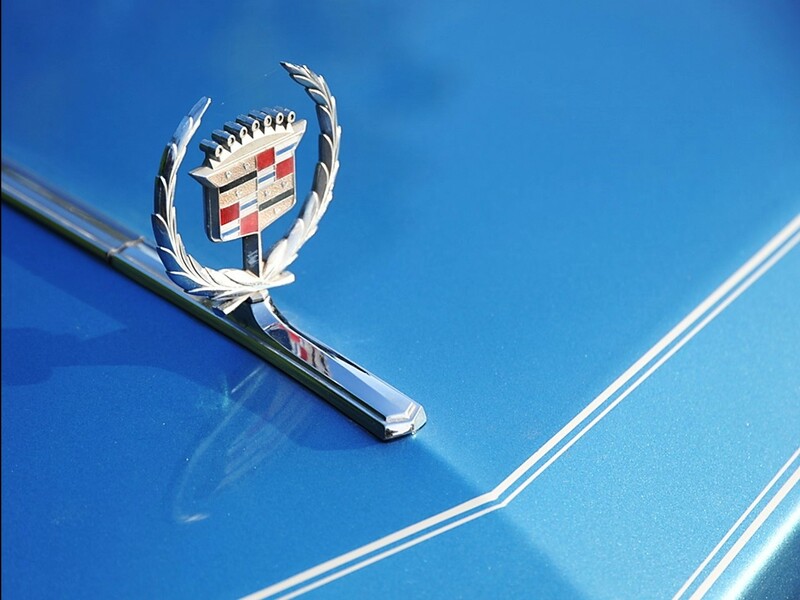 The stand-up Cadillac wreath and crest hood ornament boldly presents the Eldorado as a senior model in the hierarchy. The rear end design is totally new. 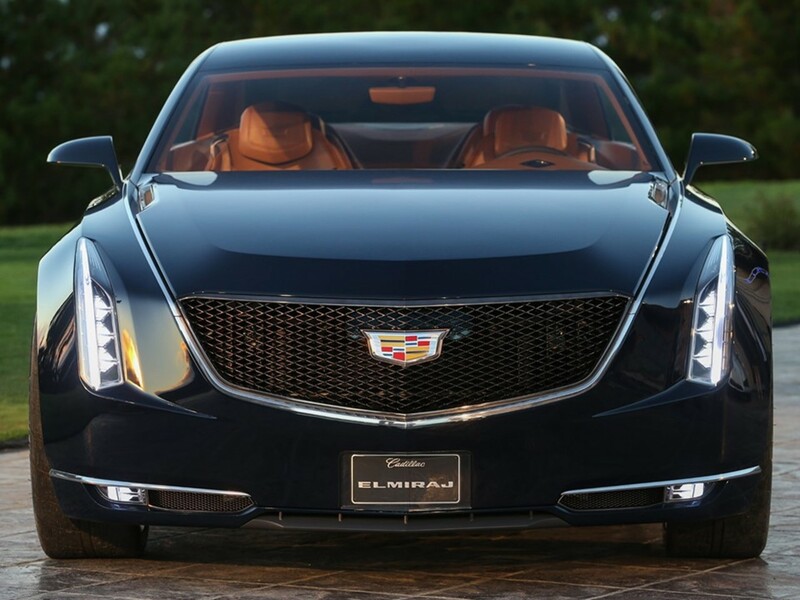 A beveled deck lid and new taillamps are immediately noticeable and are completely in character with Cadillac prestige. The new rear bumper can also withstand a 5 mph collision without sheet metal damage. 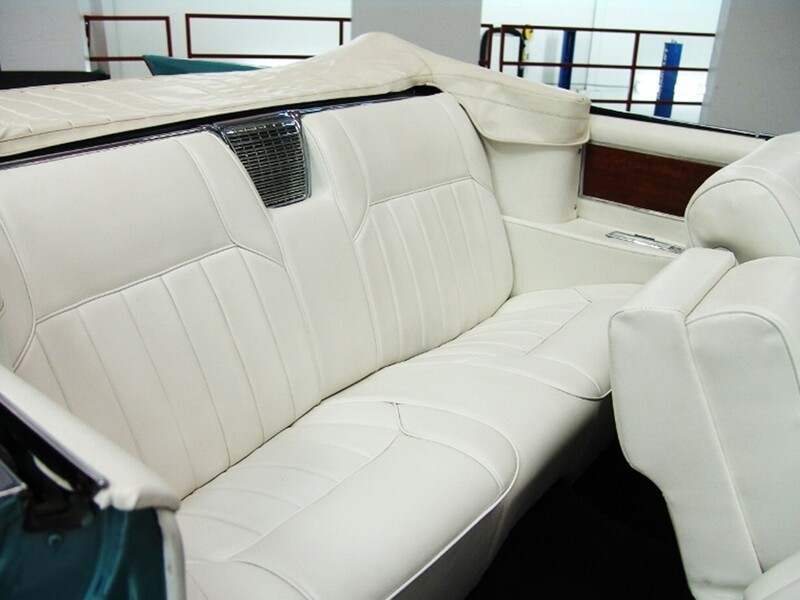 Luxury such as this will never, ever, be built again. 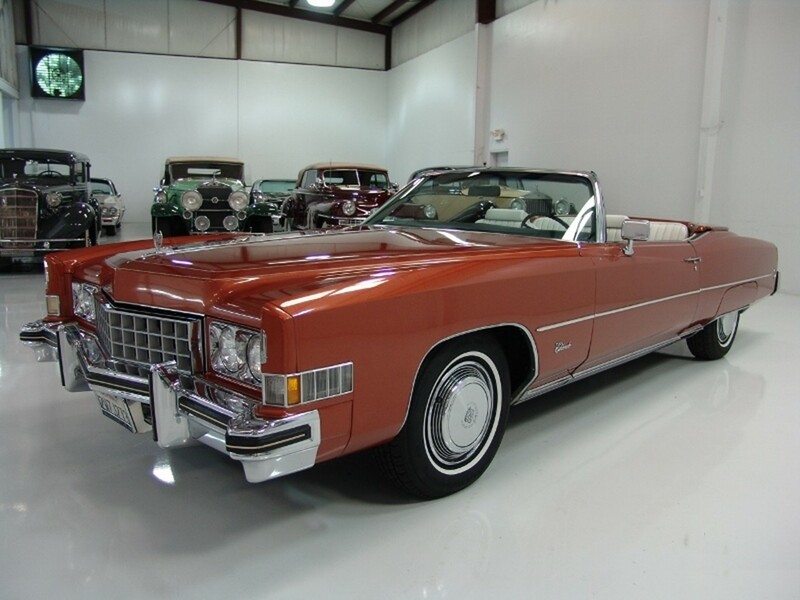 Vehicles of this stature offer resplendent elegance and a style that only Cadillac could provide – the 1973 Eldorado Custom Cabriolet coupé has a special half vinyl roof treatment crowned with rich padded elk grain vinyl haloed by a sheer chrome molding. 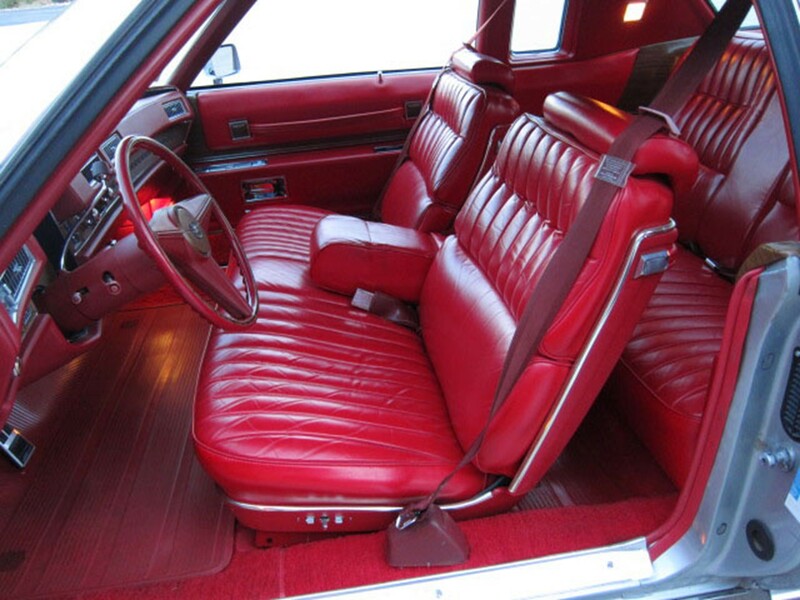 This special limited edition version of the Eldorado was a $360 option. 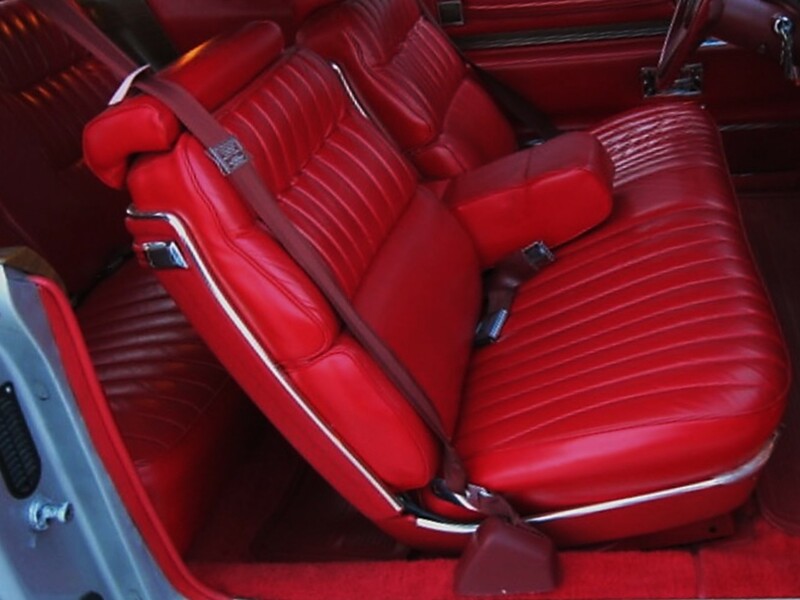 It was available with or without the optional sunroof. 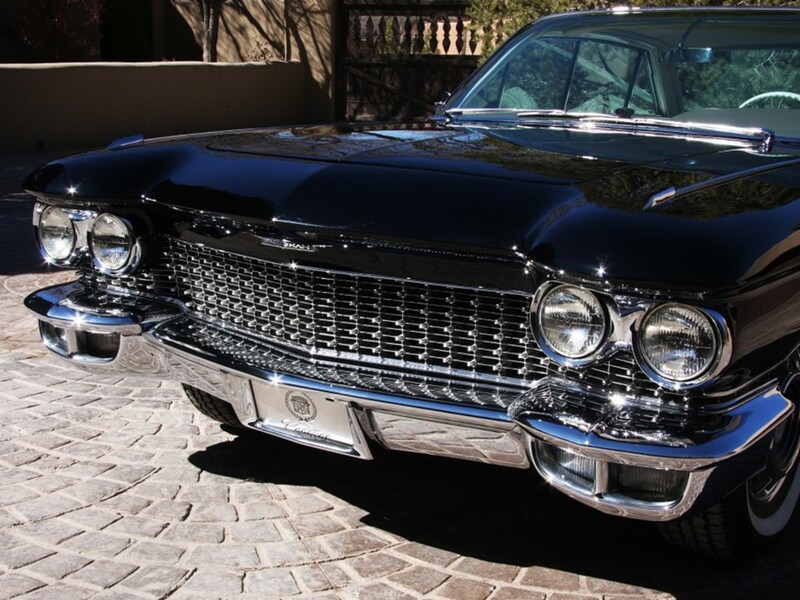 The only way to travel…was Cadillac-style. 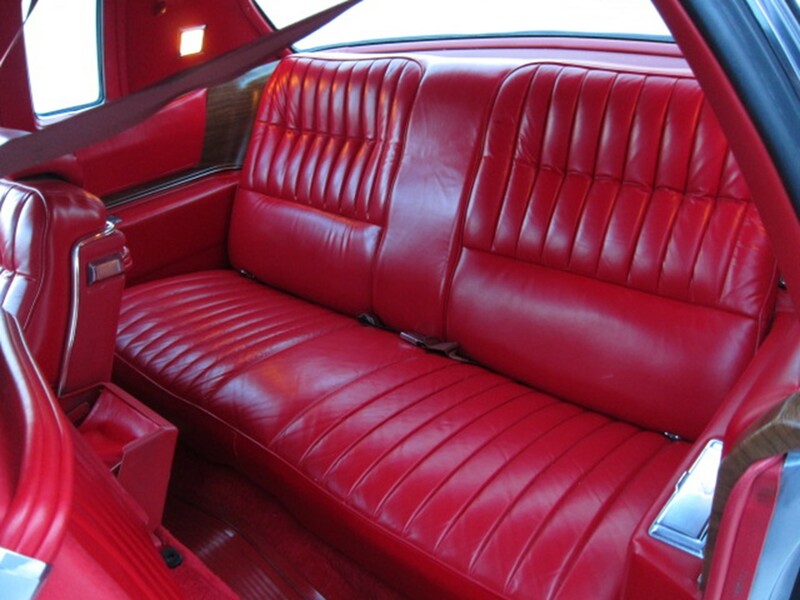 Comfort and elegance abound inside the 1973 Cadillac Eldorado. 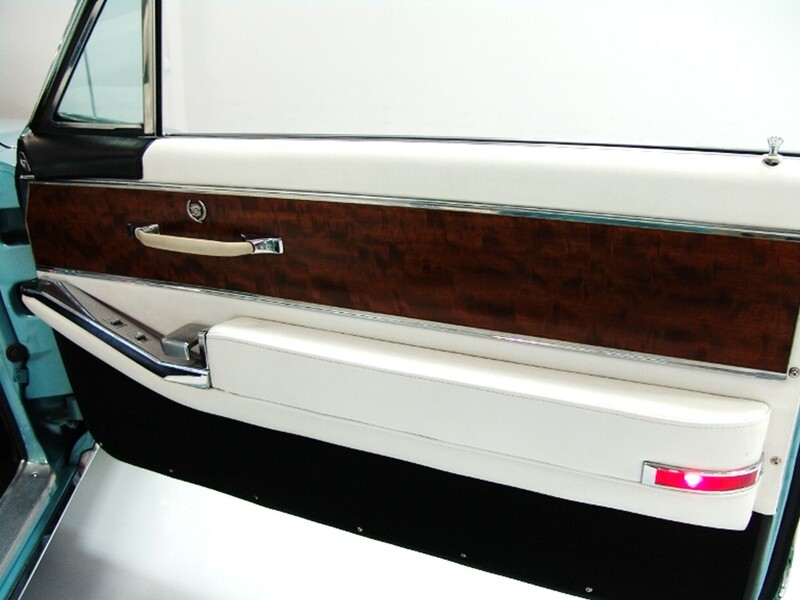 Appliques with a carved wood look of Spanish filigree and new “soft-pillow” door panels are unique to the model. 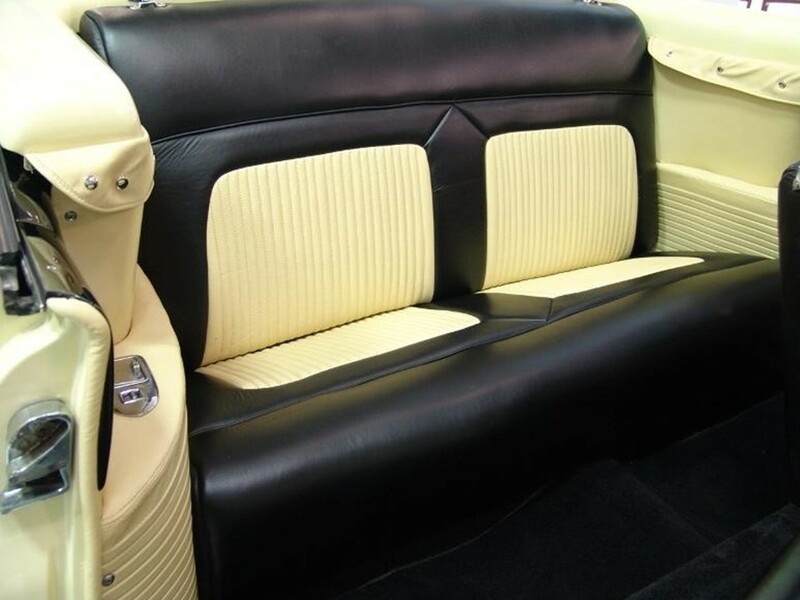 A wide choice of upholstery fabrics including Manchester, a new houndstooth pattern was available in seven color combinations. 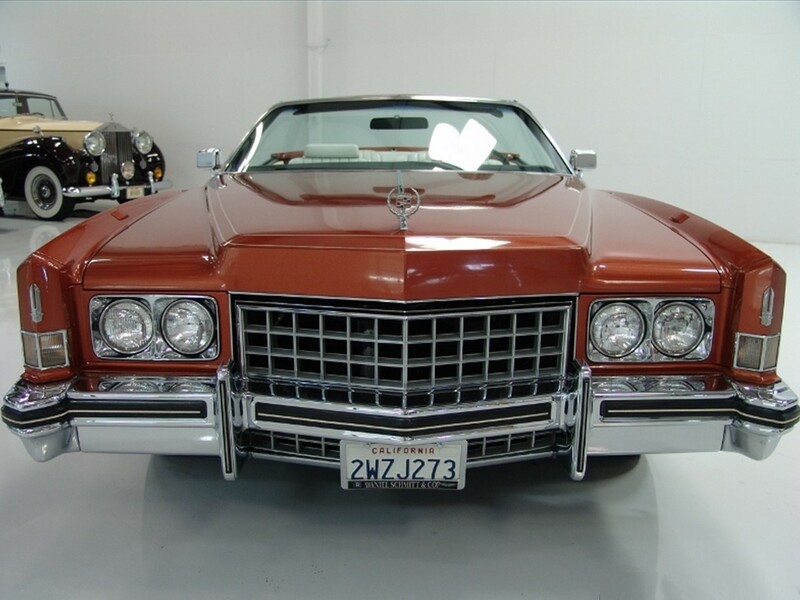 The 1973 Eldorados are powered by the Cadillac 8.2 litre 16-valve 500 CID V8 engine. 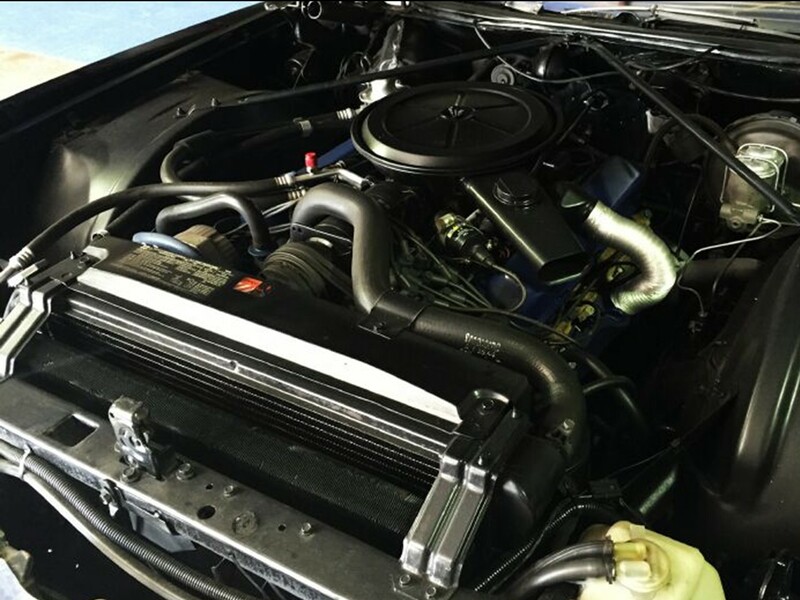 The engine’s camshaft is designed with a greater overlap between intake and exhaust valve timing to reduce nitrous oxides in the exhaust. 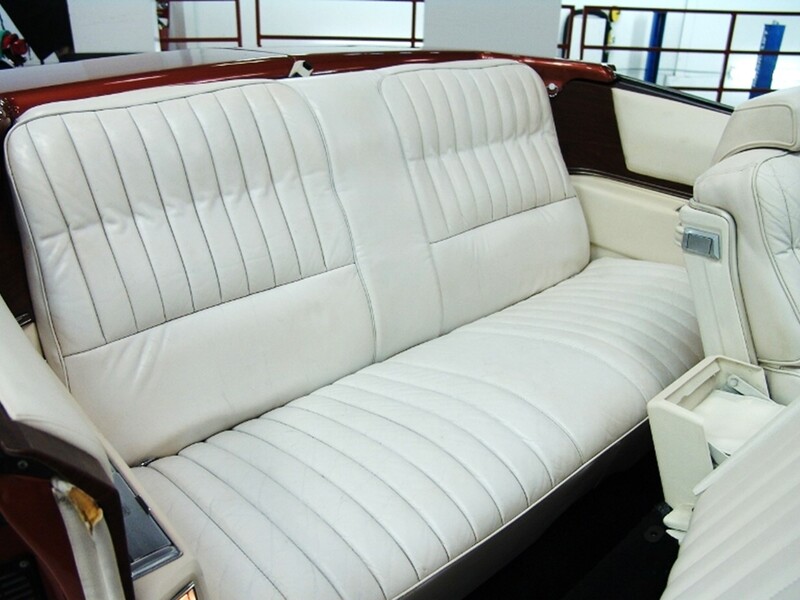 The engine is equipped with a Rochester 4MV 4-bbl downdraft Quadrajet carburetor, automatic choke, intake silencer, and dry-type air filter. 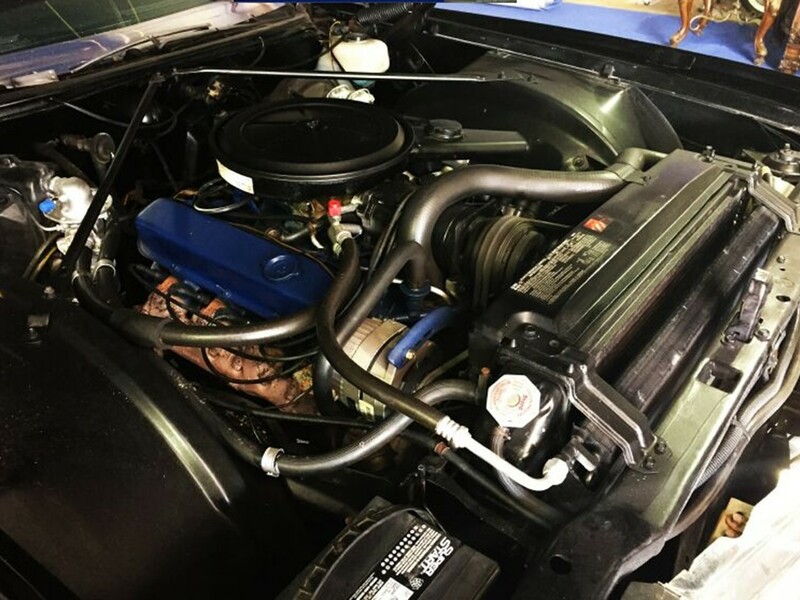 A GM Turbo Hydra-Matic THM-425 3-speed automatic front-wheel drive transmission with torque converter/fixed stator is mated to the engine. The converter multiplies engine torque for increased driving thrust to drive wheels in any forward gear. 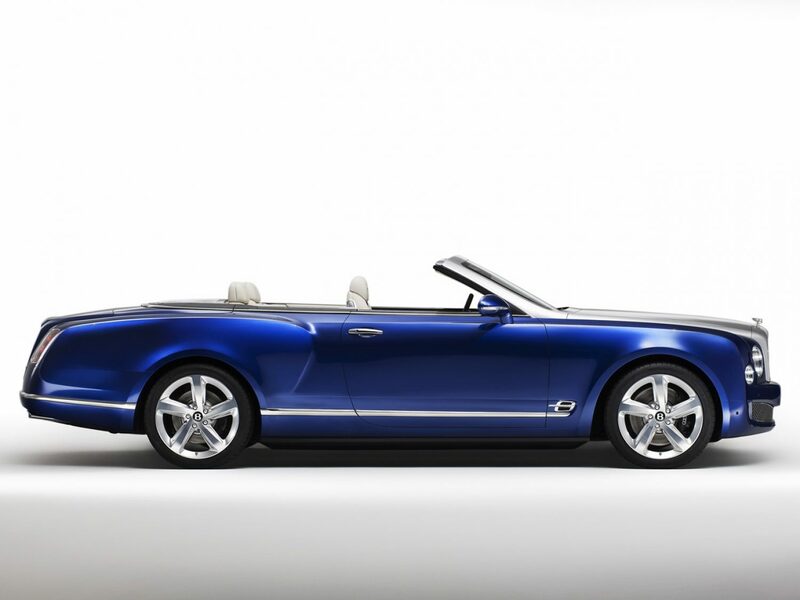 The 8.2 litre V8 engine produces 220 hp @ 3,800 rpm with 495 Nm of peak torque @ 2,400 rpm. Longitudinal acceleration is rated as 0-60 mph in 11.1 seconds, 0-100 mph in 35 seconds with a top speed in the 118 mph range. 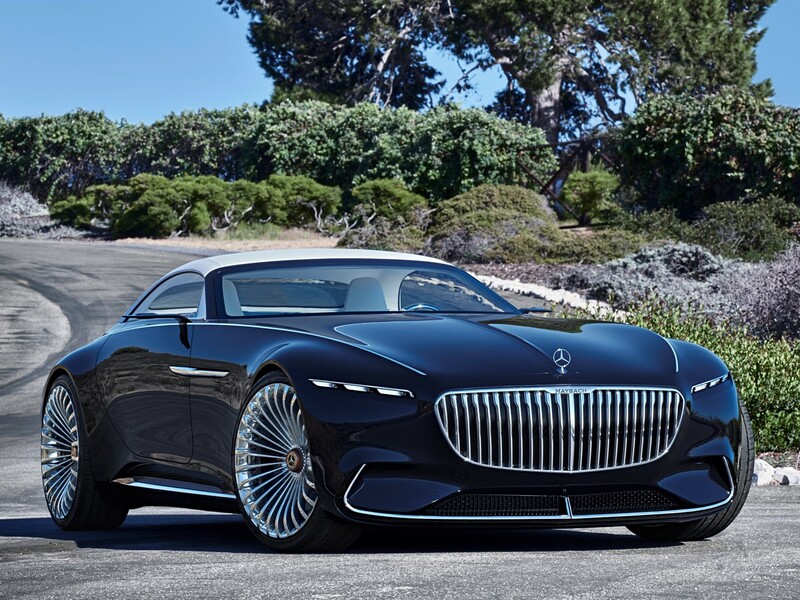 It can do the ¼ mile @ 79 mph in 18 seconds. 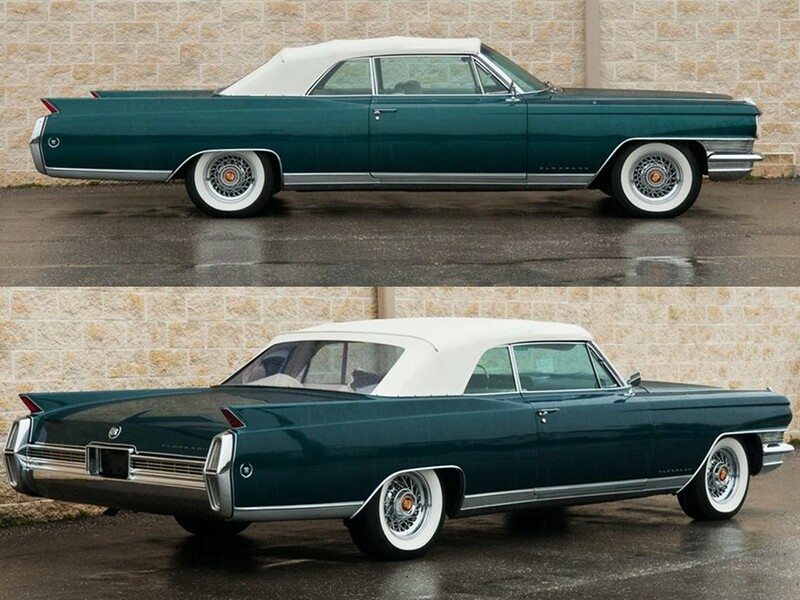 Cadillac Eldorados were notable for their spirited performance. The integration of pollution controls to satisfy the EPA robbed this powerful engine of its horsepower. The Exhaust Gas Recirculation and Air Injection Reactor systems were the culprits. 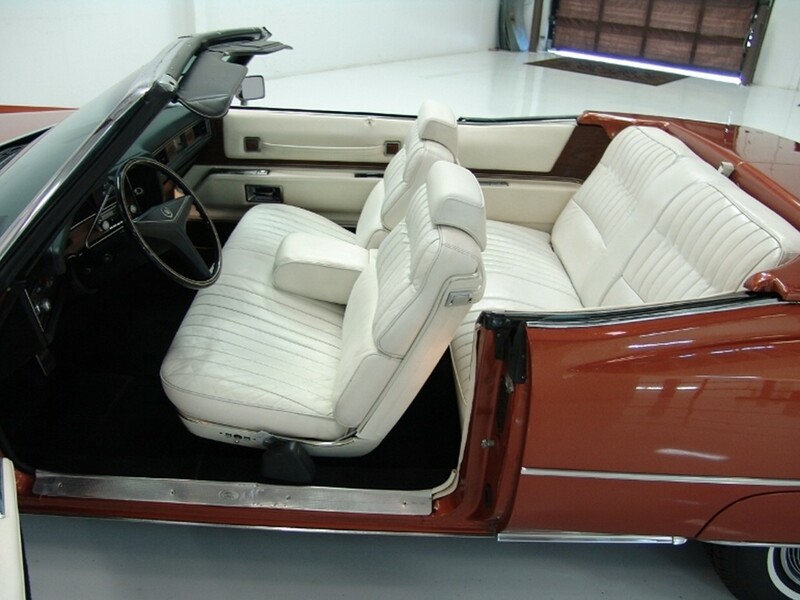 The 1973 Eldorados are built as body on frame construction. The perimeter frame has heavier gauge boxed side rails. New front members offer added protection with increased energy absorption. The front suspension has upper and lower control arms with an integral steering knuckle for dependability and longer life. 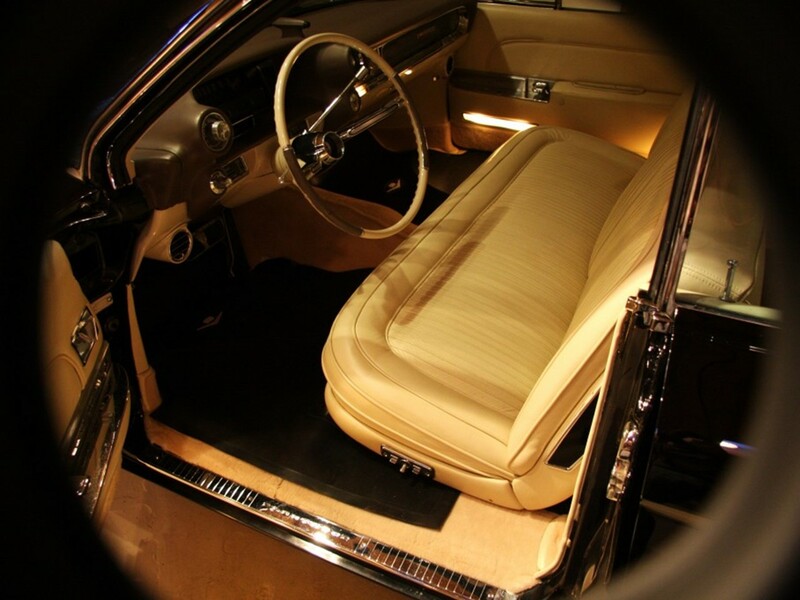 The Cadillac magic carpet ride is further refined by helical coil springs. 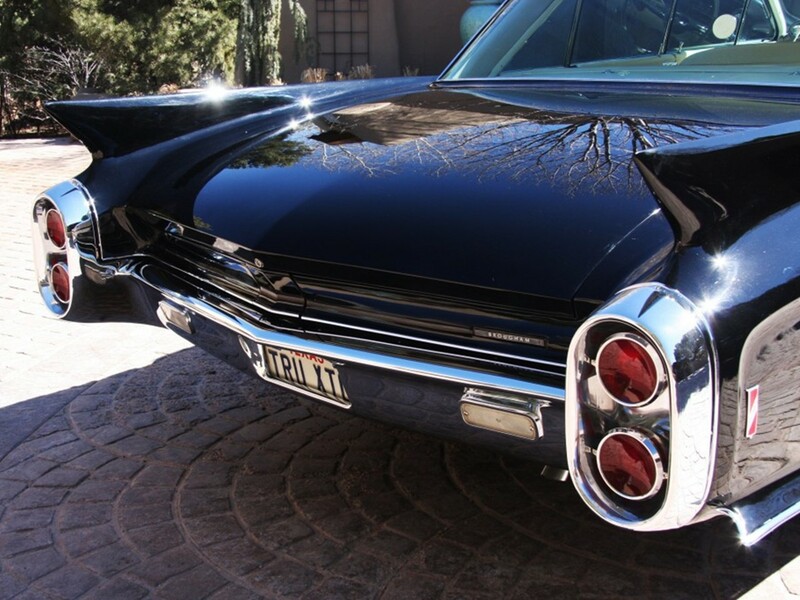 Standard was Cadillac’s triple power braking system with self-adjusting feature. It has discs fitted the front axle and finned composite drums fitted to the rear axle. 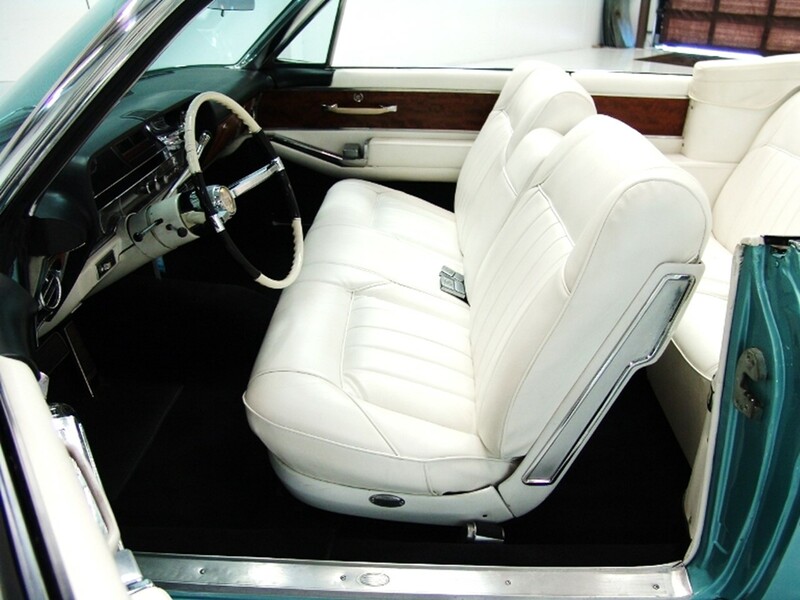 Brakes automatically adjust themselves when the car is driven in reverse and the brakes are applied. 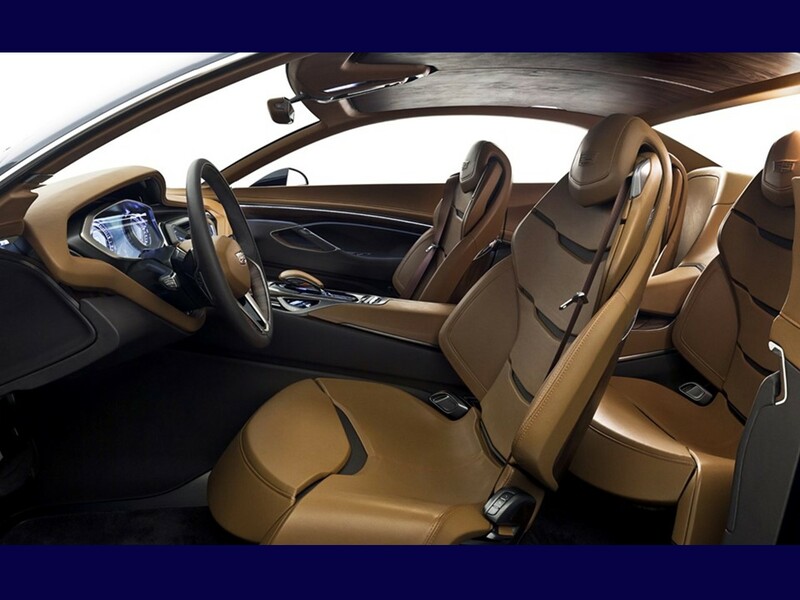 It uses a dual hydraulic master cylinder to facilitate independent operation of front and rear braking systems. 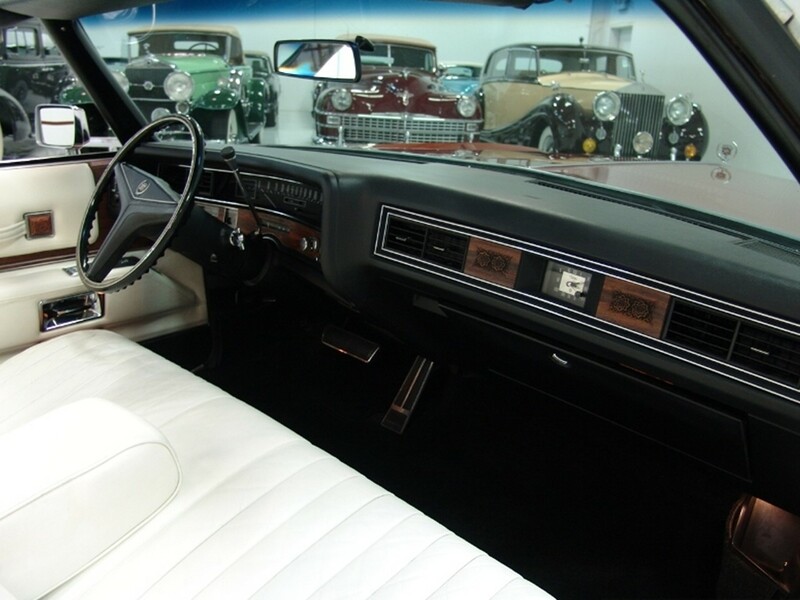 The parking brake is vacuum operated and releases automatically when the car is shifted into a drive gear. This is a true auxiliary brake since it will not lock with the engine running and car in gear. 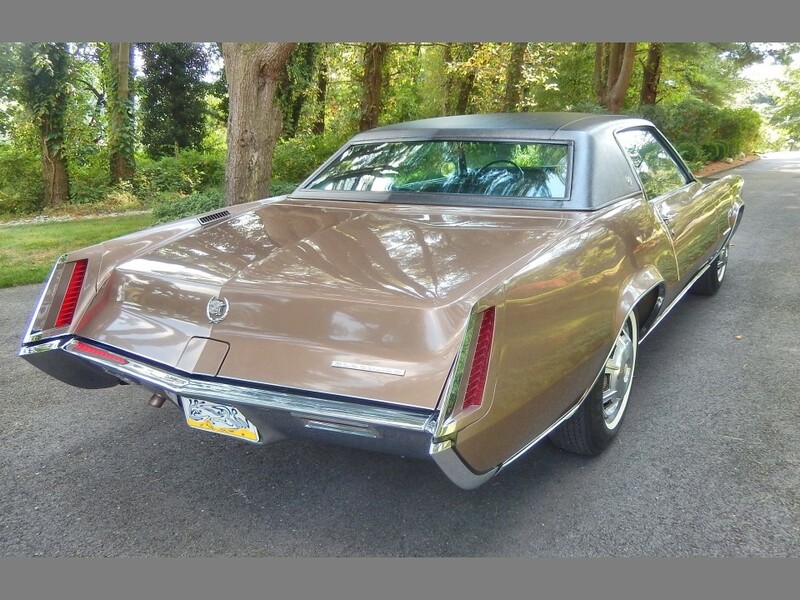 The 1973 model year marks the 20th Anniversary of the original Cadillac Eldorado of 1953…no one even mentioned it in sales brochures and campaigns. 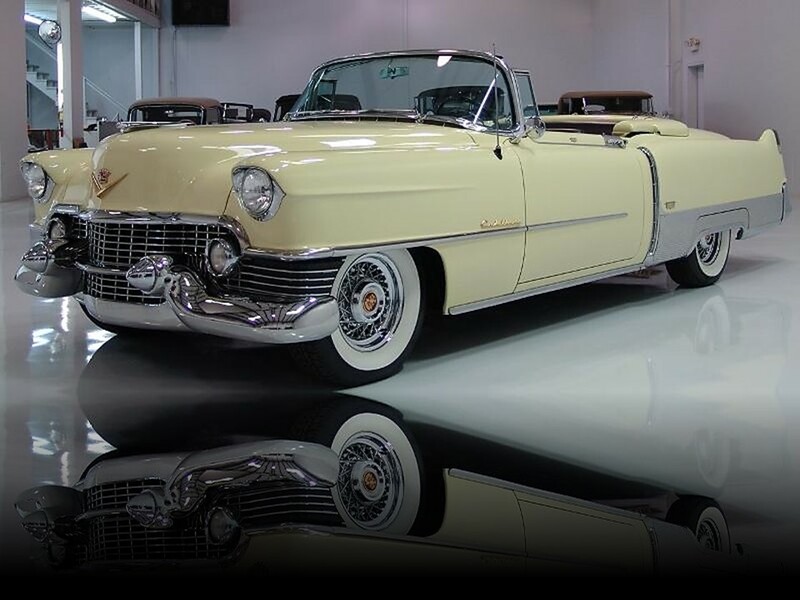 The ultra-exclusive Cadillac Series 62 Eldorado was an exclusive trim option that became its own series in 1954. 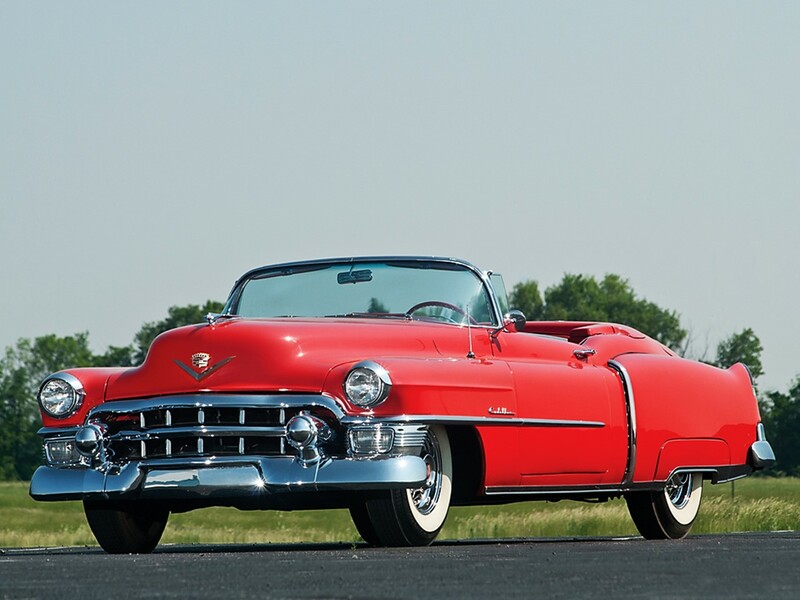 The 1953 Eldorado was driven January 1953 at the Inaugural parade for Dwight D. Eisenhower. 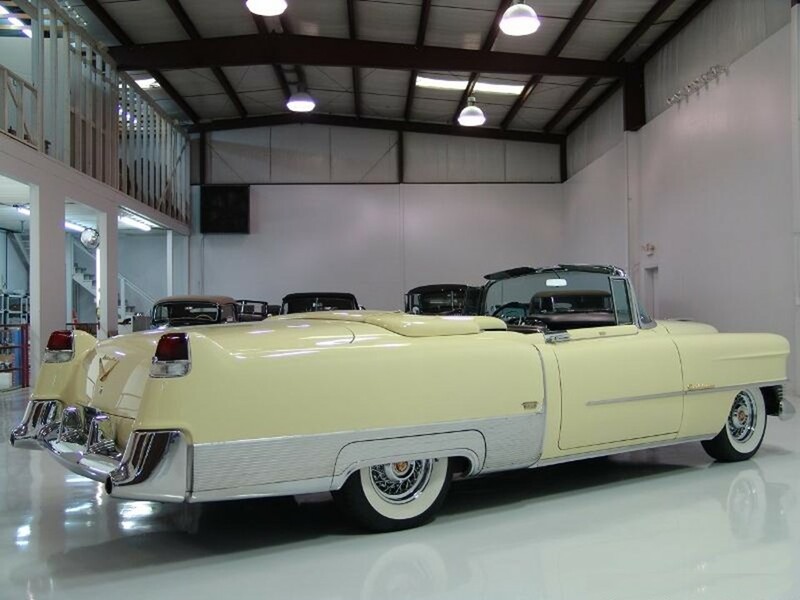 Yes, the 1953 Eldorado had the spotlight! 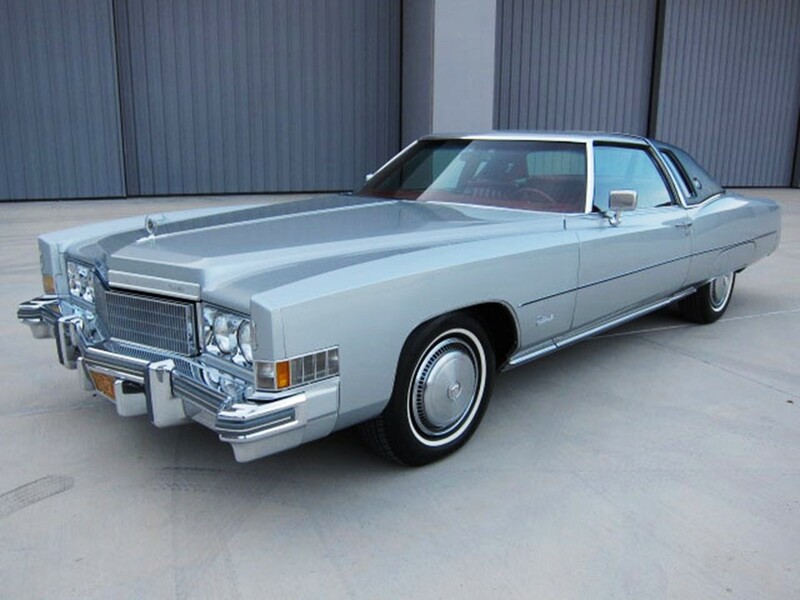 Each subsequent Eldorado became even more luxurious than the model it replaced. 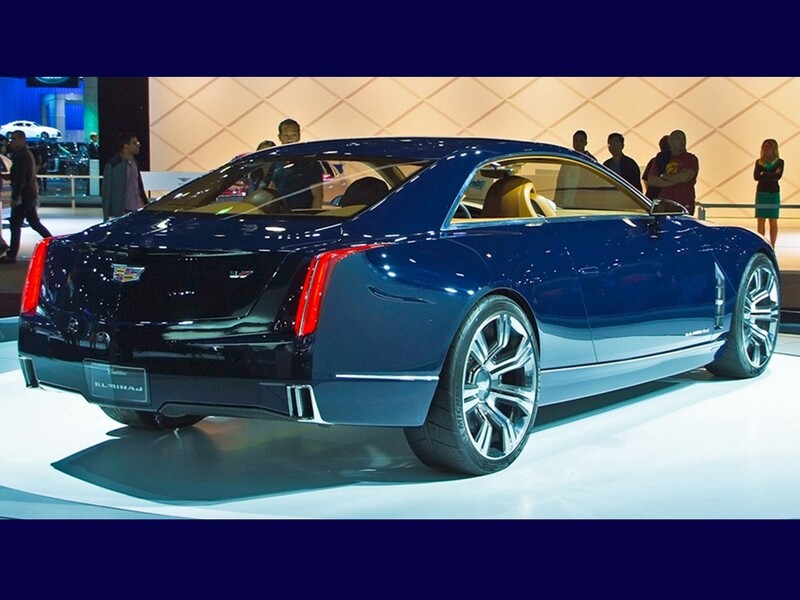 Cadillac’s Flagship model was a winner. 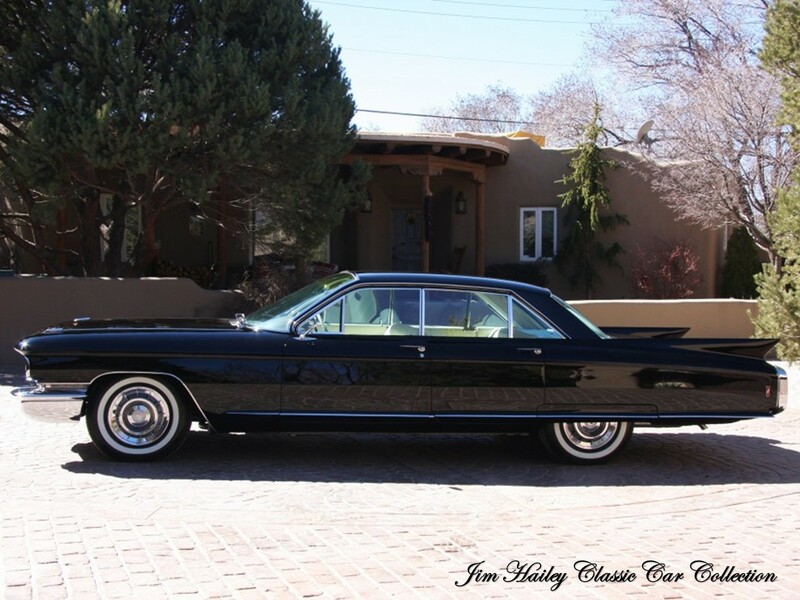 Between the Eldorado and the Fleetwood Series Sixty-Special…life was good at Cadillac. 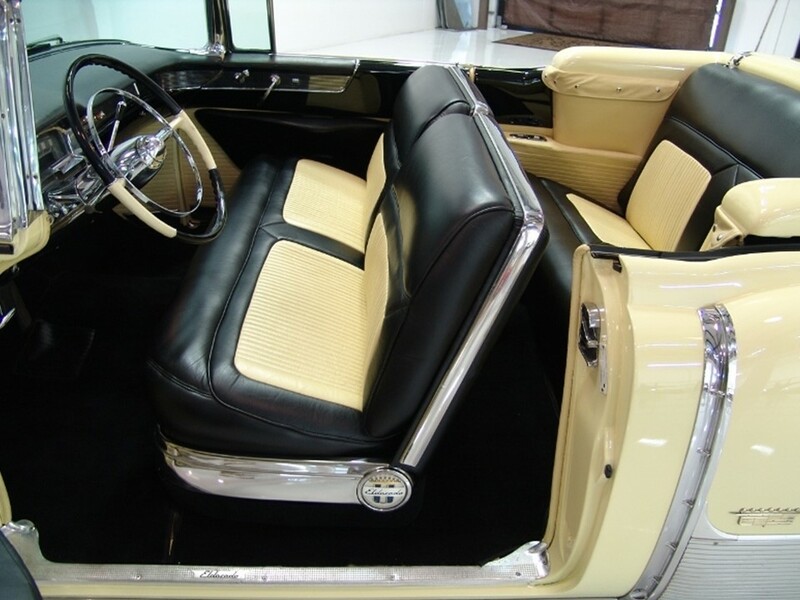 The “Gilded One” was one of the world’s most desired automobiles. 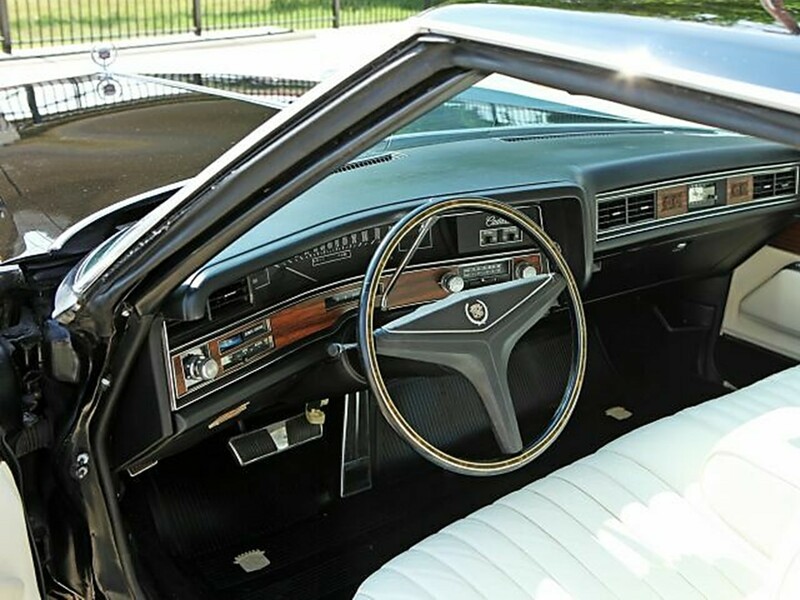 Can you remember the imposing stature of a Cadillac Eldorado from the Spirited Seventies? You opened the door and got into what resembled a summer home in the South of France. The self-closing door shut with a vault-like click. 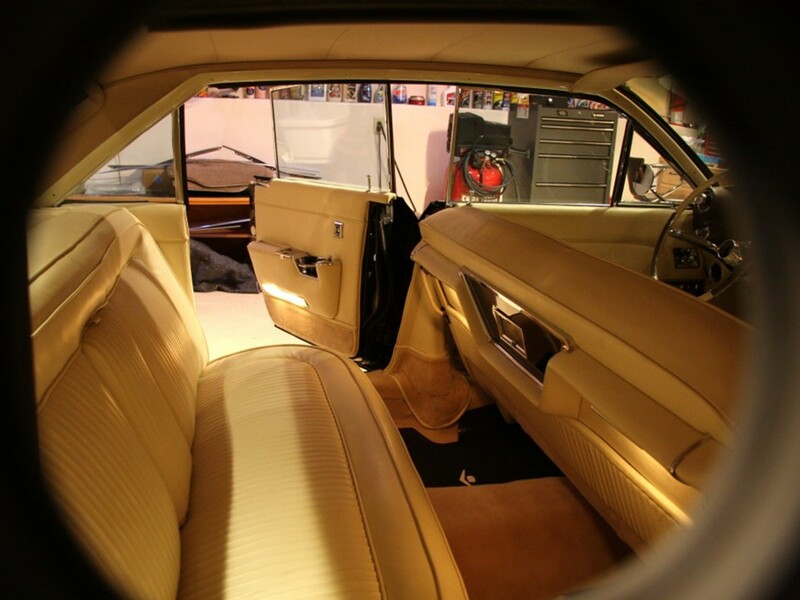 Then you looked out through the windshield over a hood that resembled a billiard table. 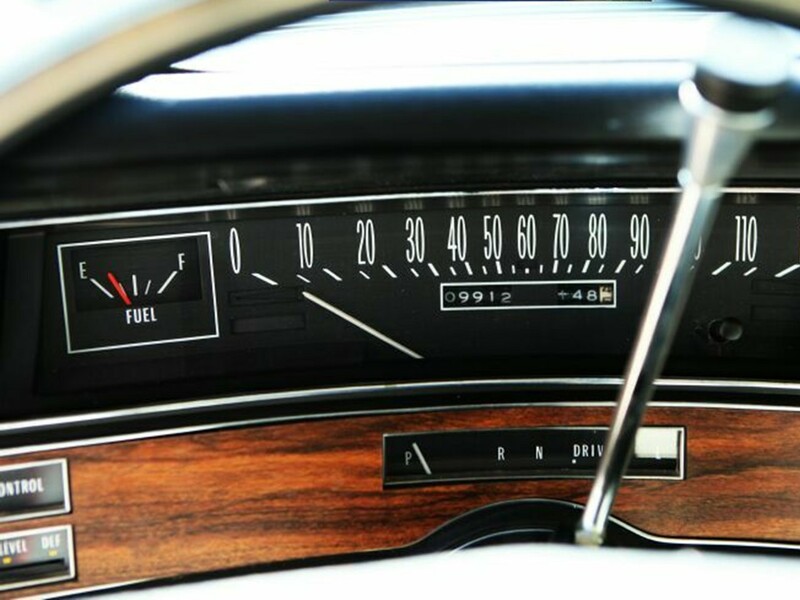 You turn the key and the engine responds so quiet and vibration-free that you had to check the gauges to make sure it was running. 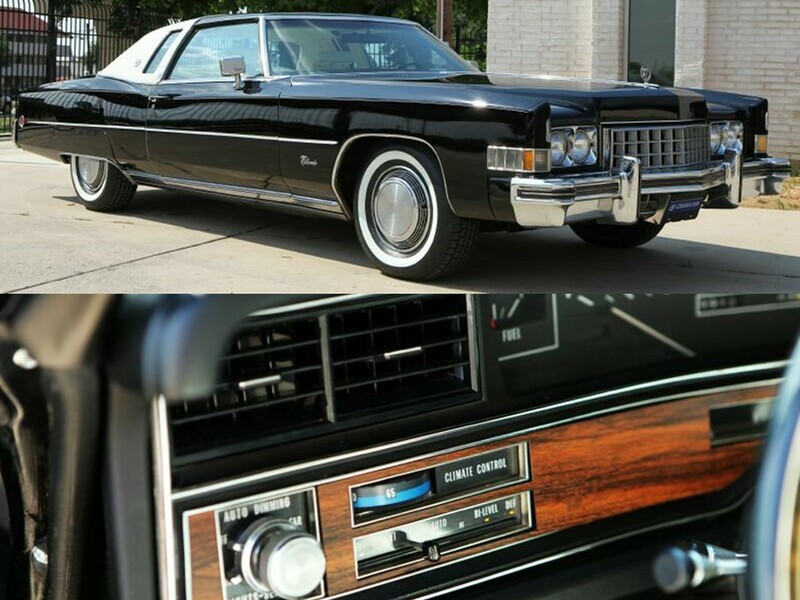 It is completely oblivious to the outside world…the interior is very quiet; it is just you and your Cadillac Eldorado. 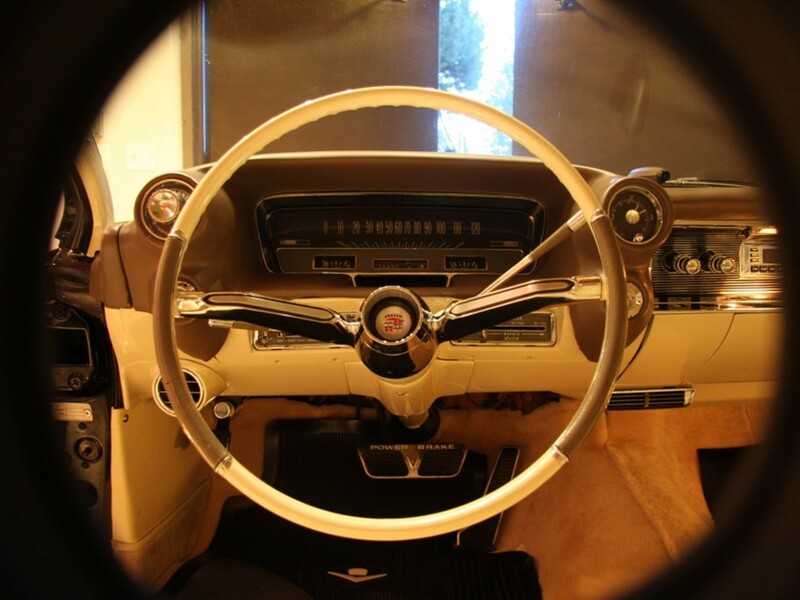 The engine shifts into gear without resistance…now; savor the ride that’s the envy of the entire world. 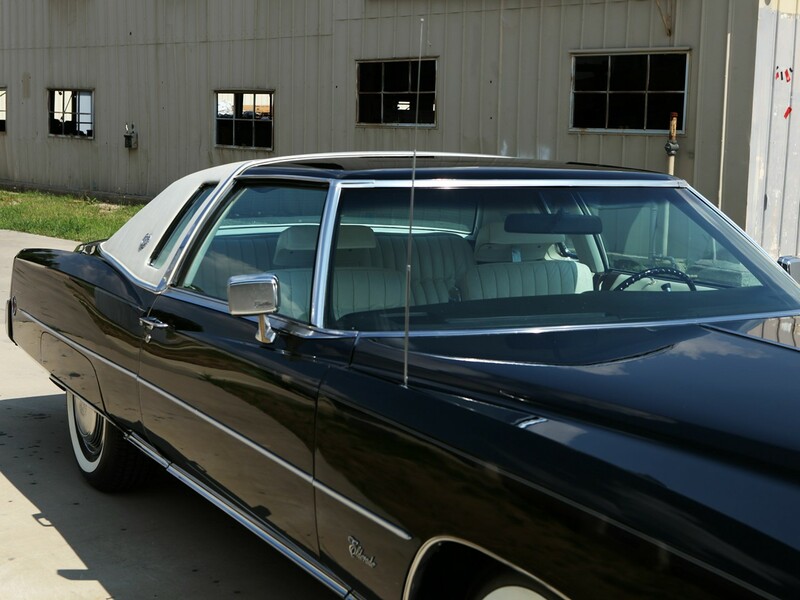 It drives straight as an arrow, it steers effortlessly. It has gear changes that are totally imperceptible. Boulevard travel intrusion is negligible. 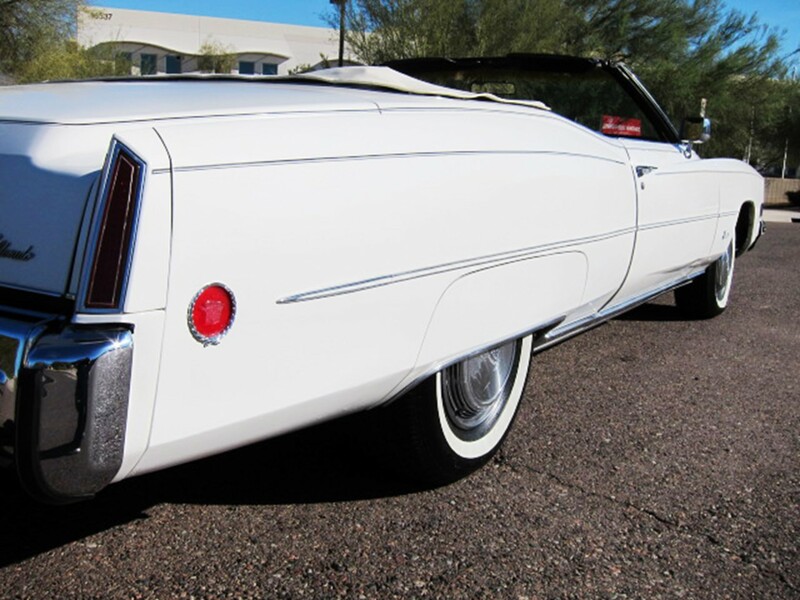 These cars smash any road flat for a ride that would shame today’s limousines. 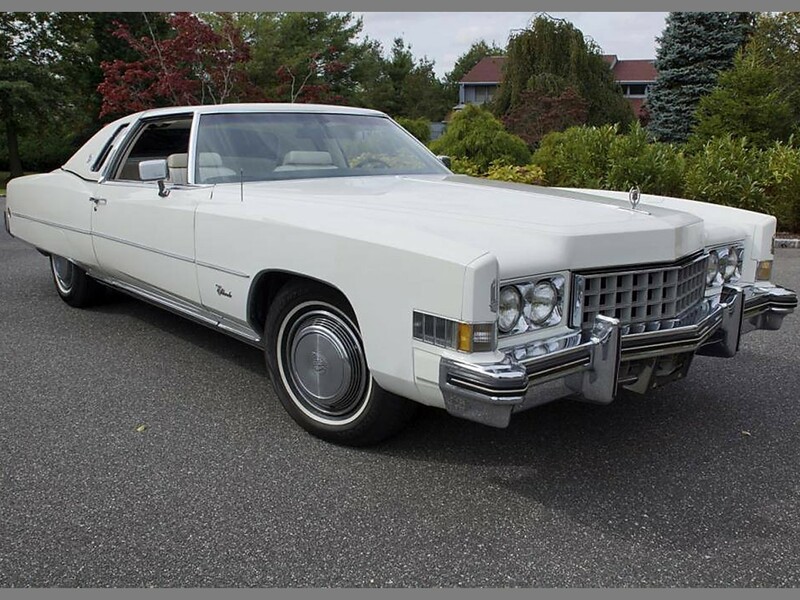 A 1973 Cadillac Eldorado is one of the few automobiles that one can drive from The Hamptons to Boca Raton and still be refreshed at journey’s end…try this today in Cadillac’s cramped puddle-jumpers and the other assorted death traps we are FORCED BY THE OIL COMPANIES TO DRIVE. 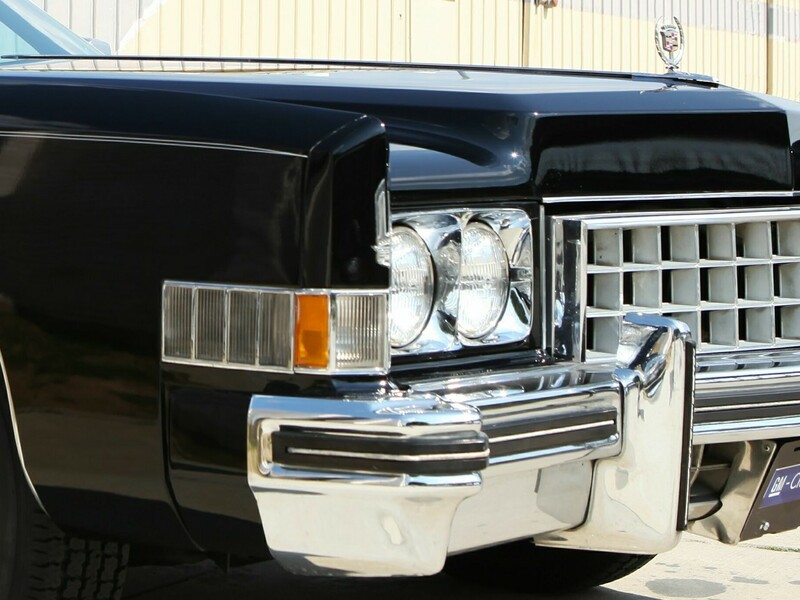 Once Cadillac was the very image of prestige, luxury and success and the name of its models enhanced this perception all the more. The current denominations with letters an numbers are numb and lack of cachet. Too bad it has become a fourth runner in the competition against those wannabies luxury sedans, a clone of other an for other very different market! CHEVROLET pick-up! Yes indeed! They cannot fool you either! I thought the sky was falling the day I saw Cadillac nomenclature on a TRUCK! 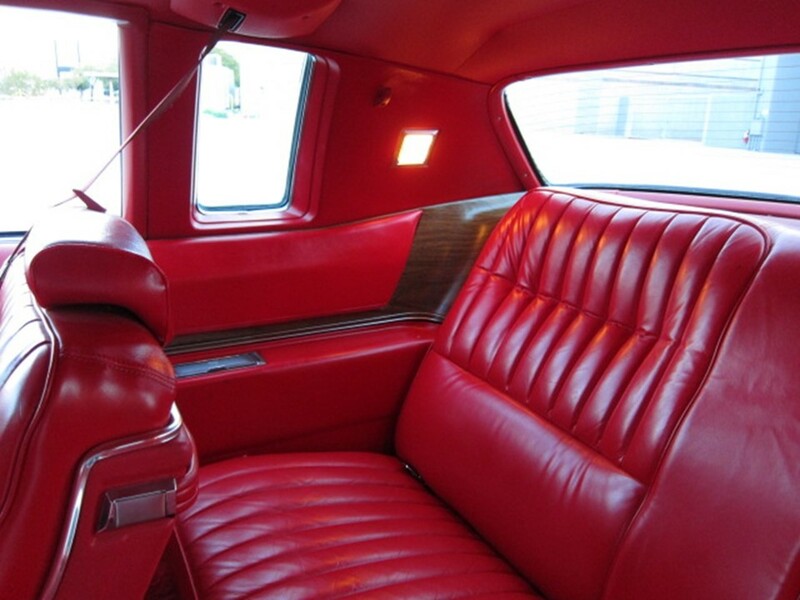 I too remember the “red carpet” treatment Cadillac used to provide! 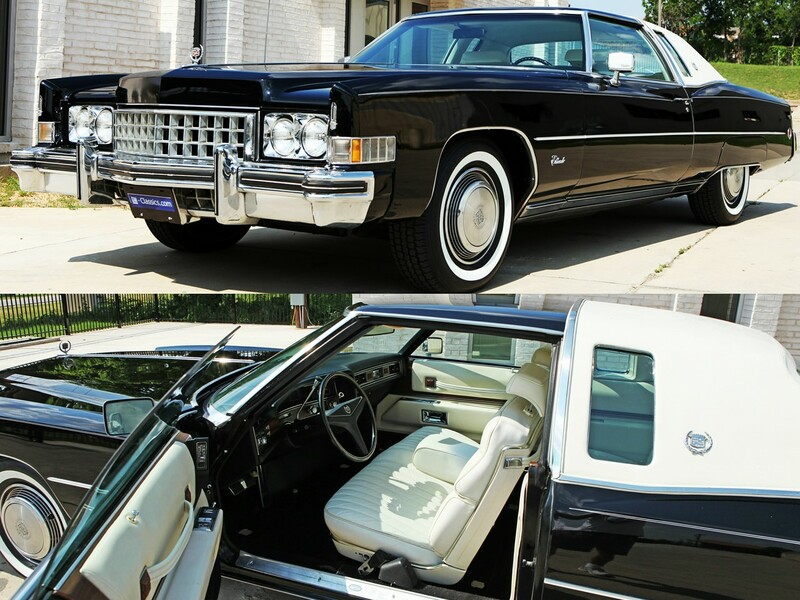 As a kid, my father traded Cadillacs every year, this is what spoiled me. 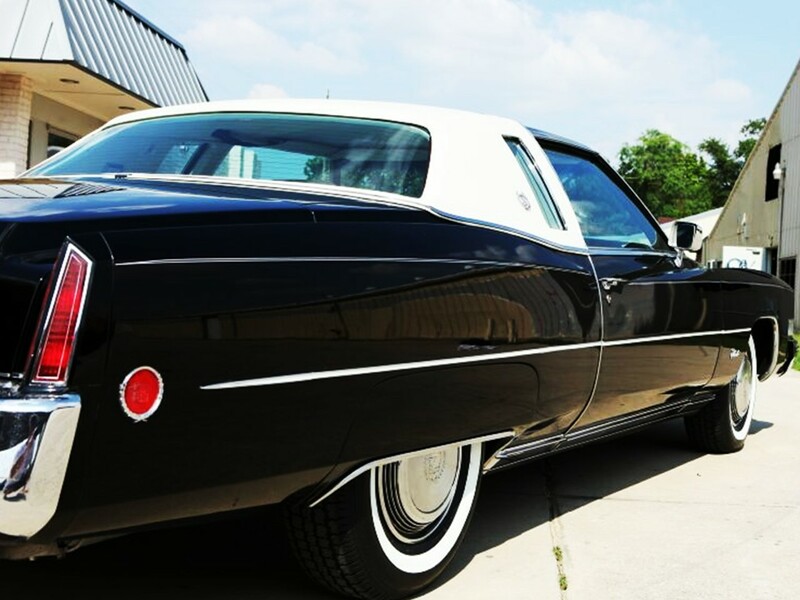 When he took me to have his car serviced, they always gave him a loaner and this was before the Gold-Key delivery program! If it was an oil change or a quick service, they had a lounge where refreshments were served. The showing of the new models always had a special invitation for the special customers with banquet tables, music, sometimes other entertainment. I remember years ago when I started buying them new, the service and the cars were no longer as prestigious! I stopped buying them when they became the DTS because they were the same car from 2000 until they killed it in 2011. 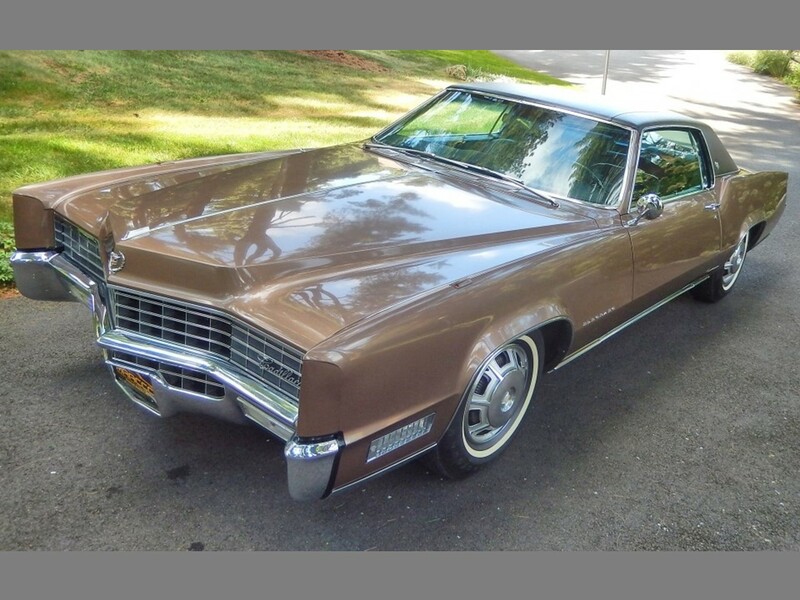 After they killed the Fleetwood, ruined the Eldorado, and started offering cars with three letters I took my business elsewhere. I am horrified at the dinky little tasteless cars they now offer. They have no panache, and they are forgettable. I see them now and don’t even recognize them anymore…they are elegant puddle-jumpers! Do you think they will ever learn? 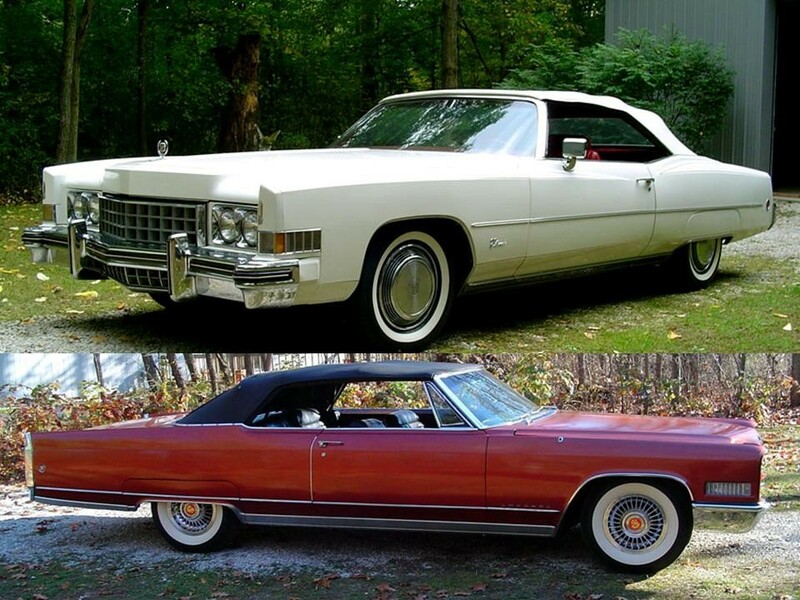 They had better snap-to…or else they will go belly up as Oldsmobile and Pontiac did! Perhaps is what GM is looking for? 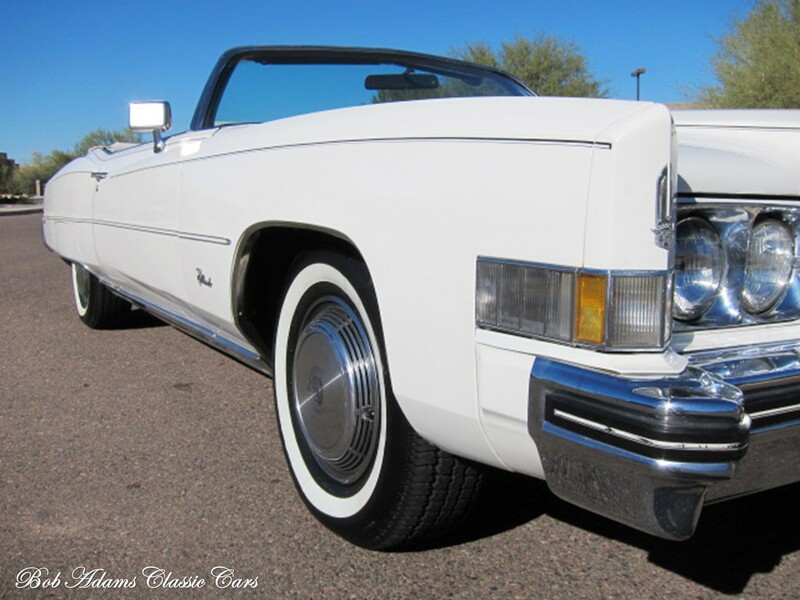 With a fierce competitor like the (also sad gone) Lincoln, Cadillac has turnes its face towards Europe to get into the race for customers overvthere, forgetting that once it was “The Standard of the World” bearer and other fine US-made fine marques paled when each new model was introduced everynyear. 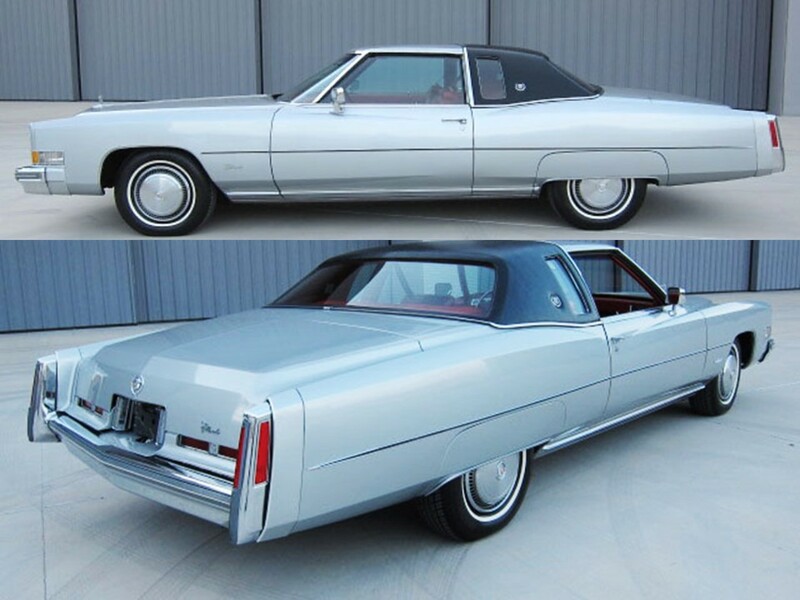 Also, to me seems that GM again forgot what Cadillac gave to the entire industry: V-16 and V-12 excellent power plants, fine Hydra-Matic transmission, air conditioned cars, the first hard top in production, TAILFINS, although some of them tacky, no matter were car-trend fashion, and many features more! 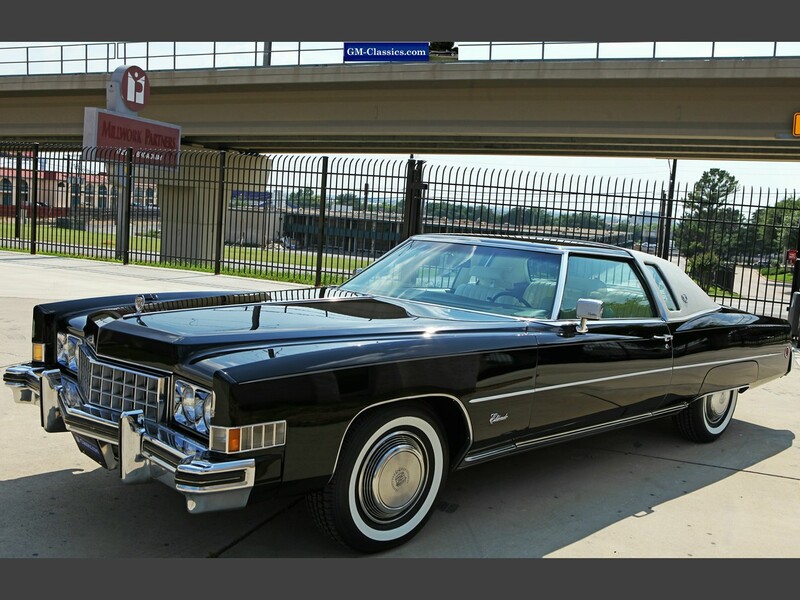 Cadillac was really the envy in motordom and a leader to follow. Today, when I see one in the streets or parked at the mall lot, I’m sad because it melts among other very similar makes and even is mistaken for an Accura! It’s rather a fantastic and also handy little bit of info. Now i am pleased for you to contributed this useful facts along with us. Remember to continue being us well informed such as this.. auto ceiling We appreciate you giving. I see my international audience is growing! Glad you enjoyed! If I can ever help you, let me know! Happy New Year!